(1) Bandpass filters with 34~62 thin film layers which vacuum-deposited on substrate. (2) Coating by PVD-EBGE (Physical Vapor Deposition-Electron Beam Gun Evaporation). (3) Some bandpass filter combo with multi filters, and thickness range may from 1.1 ~ 4.4mm. 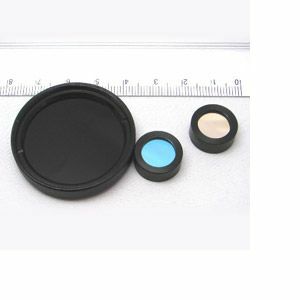 (4) Bandpass filters also offer standard camera ring ex: M49, M52, M55, M58. (1) Automatic optical inspection equipment(AOI equipment).